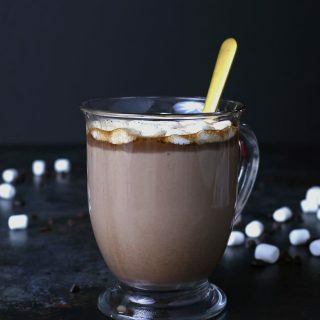 Slow cooker Kahlua hot chocolate warms you up in more ways than one! 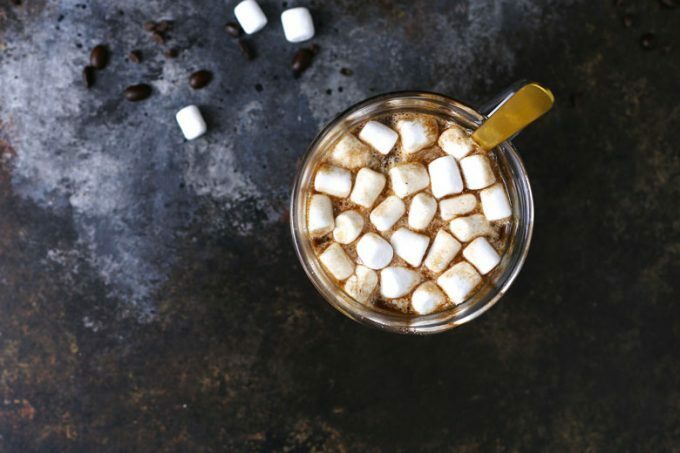 Add some marshmallows to this hot chocolate and you’re all set for chilly winter nights or holiday parties! This is going to become your favorite winter cocktail / dessert combination. Updated with new photos and text November 2016, originally posted January 2014. We have been truly blessed with amazing neighbors. We live in a vintage two-flat in Chicago so it’s a really good thing when you like your neighbor. I don’t think non-Chicagoans call my type of apartment building a two-flat and may not know what it means – check here for a definition. In short, you hope and pray that someone nice/cool/fun moves in because it’s just you and them. Since we like them so much, we had them down for dinner last year on a ridiculously cold night. It was frigidly cold outside (-10 F anyone?) so I had to think warm. I made beef stew served with a crusty bread and for dessert I made this slow cooker hot chocolate and baked cookies. We had a blast and I am so glad they joined us for dinner. We were starting to get a little stir-crazy cooped up in the house thanks to living in Chiberia. If we ever get cooped up inside again (winter is coming), I would do it all over again – neighbors, beef stew, hot chocolate and all. 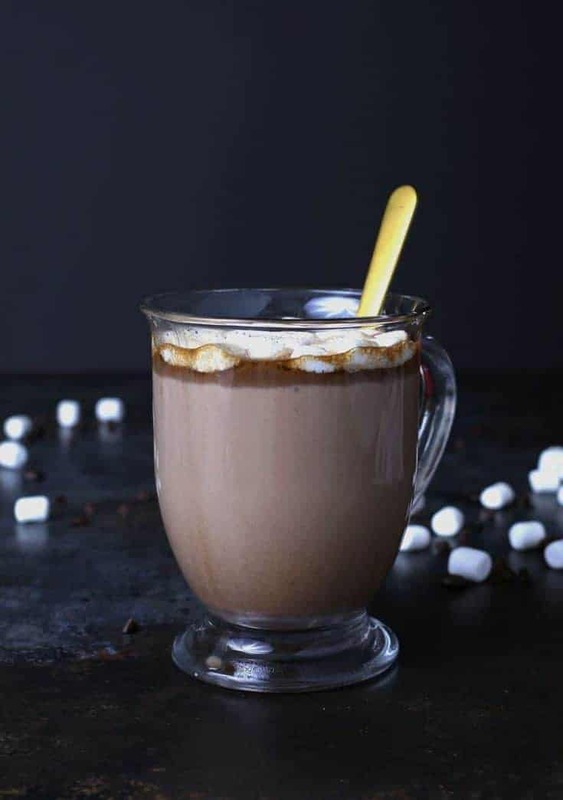 This is such an easy recipe that there is no reason to not make slow cooker kahlua hot chocolate every day. 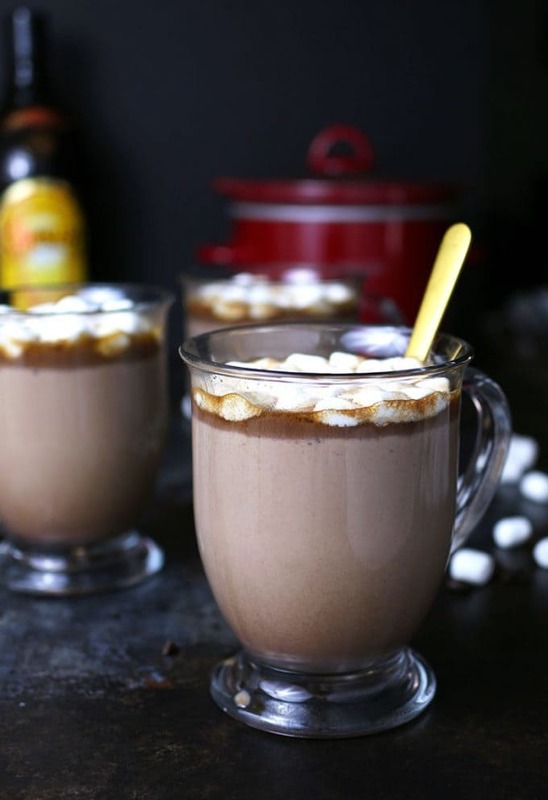 I know that a hot chocolate craving probably doesn’t come every day, but if it did, this would be your recipe. I like to add cinnamon sticks to the slow cooker for that extra flavor. If for some reason you can’t find cinnamon sticks, put a pinch or two of ground cinnamon in the milk when you start cooking. 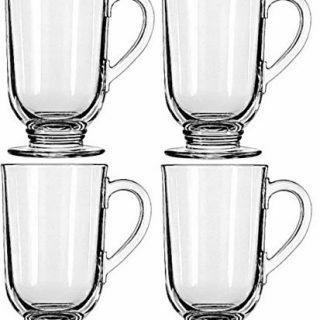 As the hot chocolate is cooking, give it a good stir every 30 minutes or so – it will help the chocolate melt. When everything is done cooking, pour in the Kahlua and give it one last stir. 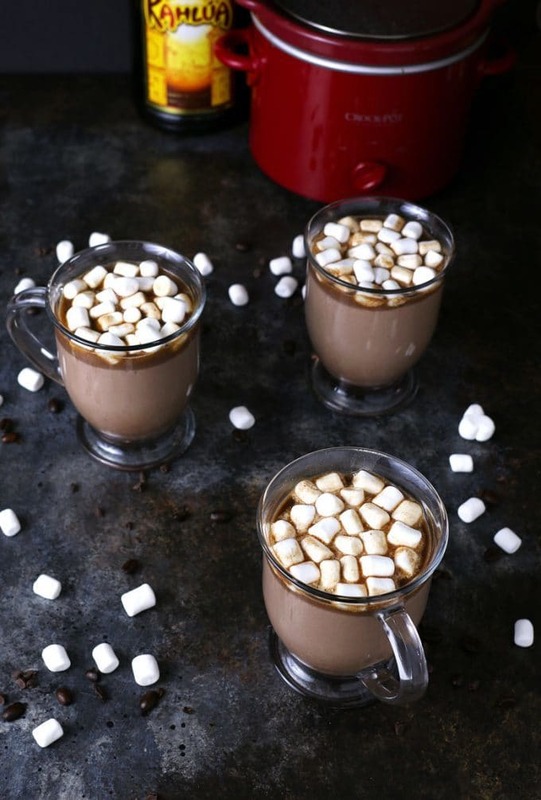 Then ladle the hot chocolate from the slow cooker to mugs. 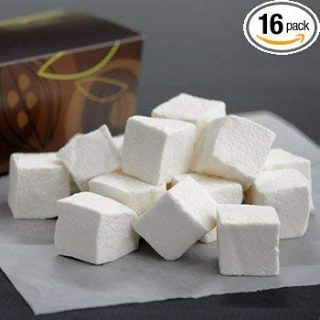 Add some mini marshmallows for garnish and you’re all set! 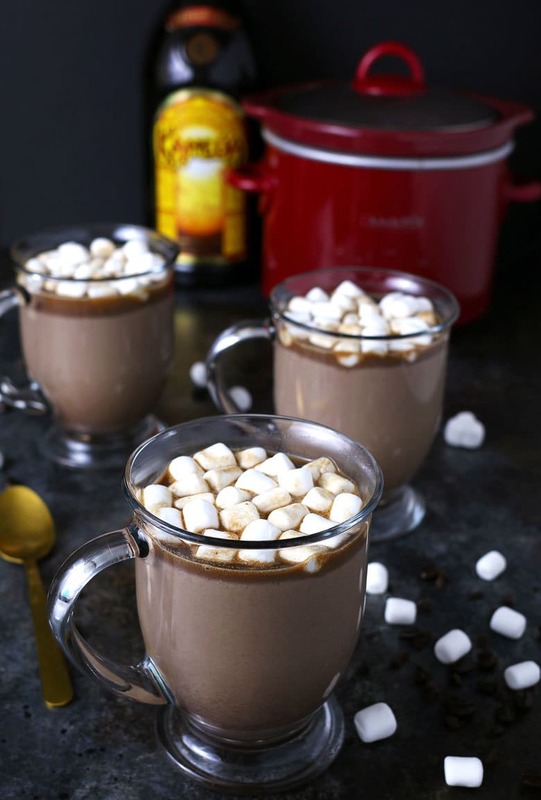 Slow cooker Kahlua hot chocolate warms you up in more ways than one! 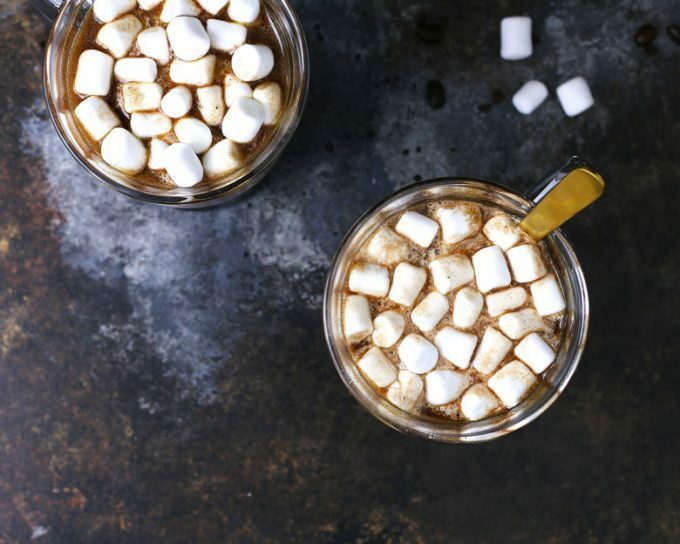 Add some marshmallows to this hot chocolate and you're all set for chilly winter nights or holiday parties! This is going to become your favorite winter cocktail / dessert combination. Combine all ingredients except for Kahlua in a 2.5 quart slow cooker. Cook on high for 2 hours, giving it a good stir every 30 minutes. After 2 hours turn to warm and add Kahlua. Stir well and serve hot. 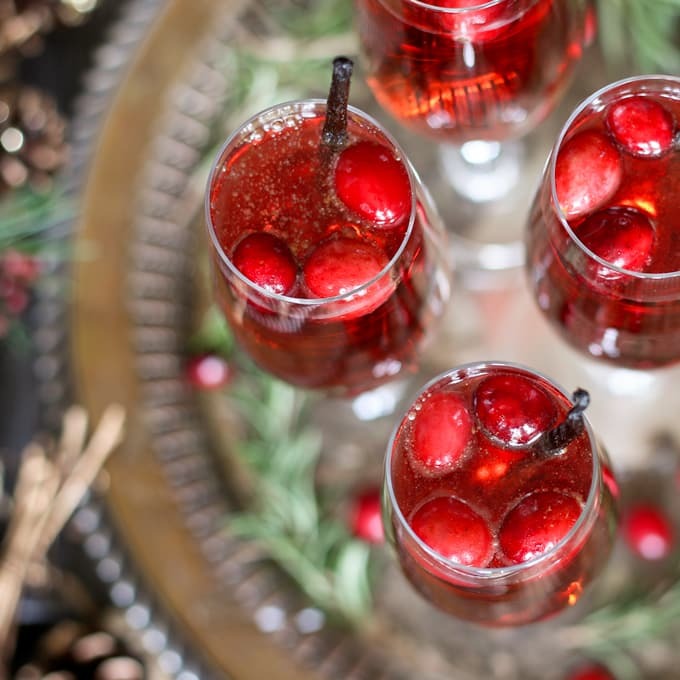 Looking for more winter cocktails? 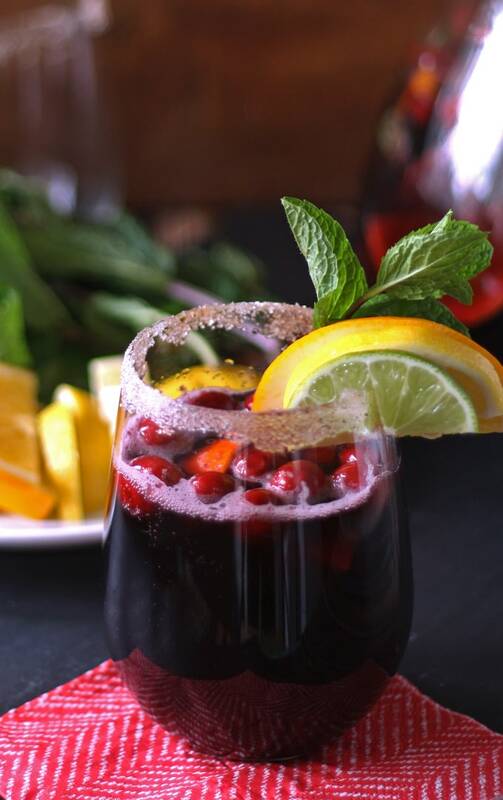 Try this vanilla cranberry mimosa! Oh I love the idea of putting a cinnamon stick in there! I use a slightly different recipe for my slow cooker hot chocolate! I planned to post it but I keep forgetting! Now i want to go make some! 🙂 Thanks for sharing with the Weekend blog block party! This sounds wonderful. What do you think the two hours of cooking does other than whipping up a drink in a cup, heating and serving? It melts the chocolate slowly and allows the cinnamon to seep through. 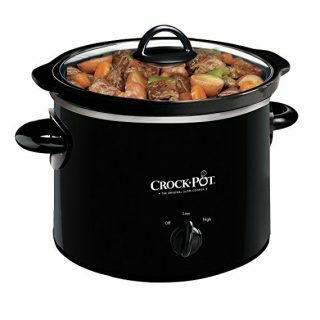 Also, by preparing it in your slow cooker, you have a place to keep it warm without another dish. Its so yummy. This is my favourite chocolate.